But Who is He? And What is Mindfulness? What is the Value of Meditation? IN A TIME OF INCREASING POLITICAL DIVISIVENESS HOW DO WE FIND A WAY TO FIND PEACE IN OUR BEING? HOW DOES ONE CONTROL ANGER? 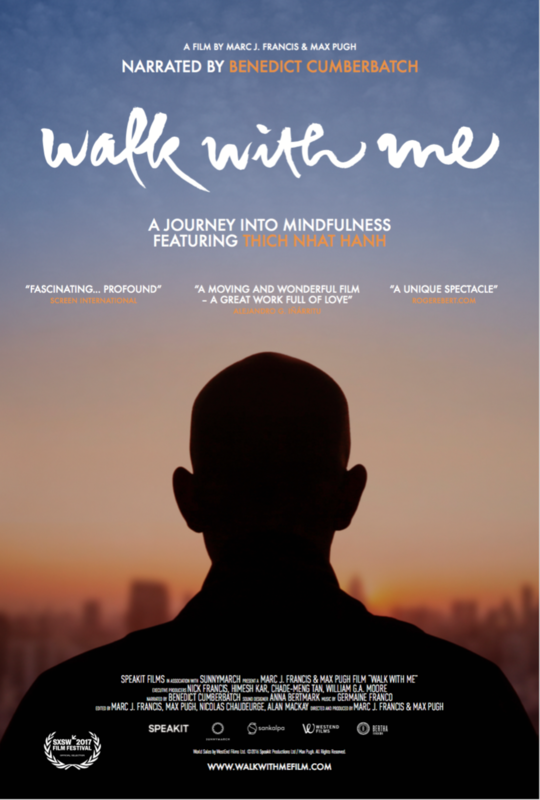 Gathr Films and Kino Lorber Inc. present the New York City premiere of the film WALK WITH ME, a cinematic journey into the world of mindfulness of Zen Buddhist master Thich Nhat Hanh, narrated by Academy Award nominee Benedict Cumberbatch. The documentary feature opens in the San Francisco market this Friday, August 11 and will screen in New York City at the Rubin Museum of Art from August 18 through August 26. Then it will be released in theaters across the United States, including via Gathr theatrical screenings. More than 150 theatrical bookings nationwide have already been booked for the film's theatrical-on-demand expansion. The film received its world premiere at 2017 SXSW FILM FESTIVAL earlier in the year. The much-anticipated Speakit Films produced movie is directed by Marc J. Francis (BLACK GOLD) and Max Pugh (THE ROAD TO FREEDOM PEAK). 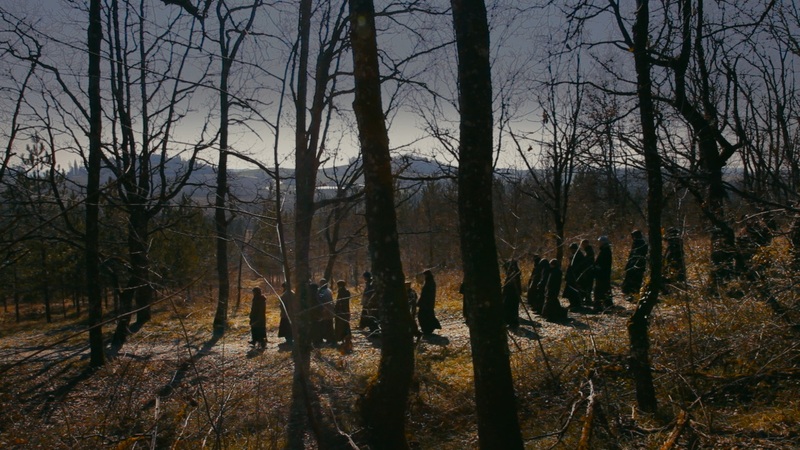 Filmed over three years and with unprecedented access, this visceral film is a meditation on a community who have given up all their possessions for a monastic life in rural France. There will be a weekend of special event screenings at the Rubin Museum as part of a one week run of the film starting August 18. Jo Confino, Executive Editor of Impact & Innovation at “Huffington Post” will introduce selected screenings throughout the weekend with monastics opening each film inviting viewers to breathe and relax with the sounds of a meditation bell. 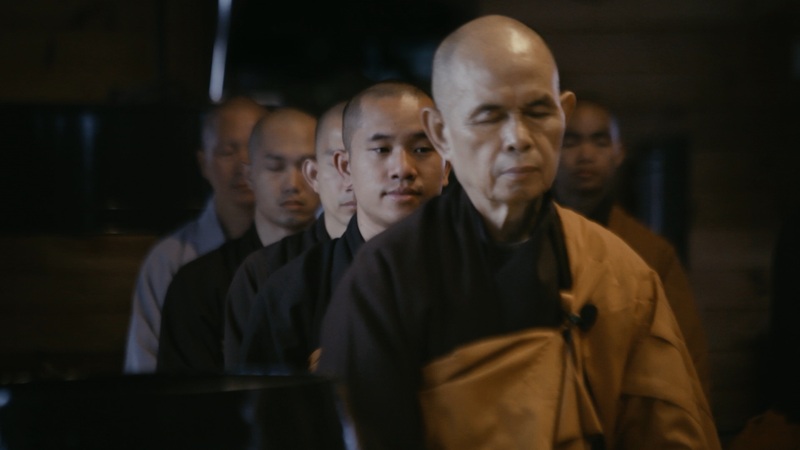 Q&A’s with filmmakers and monastics from Thich Nhat Hanh’s Plum Village monastic community will follow each screening and meet and greets with monastics will be held throughout the weekend. 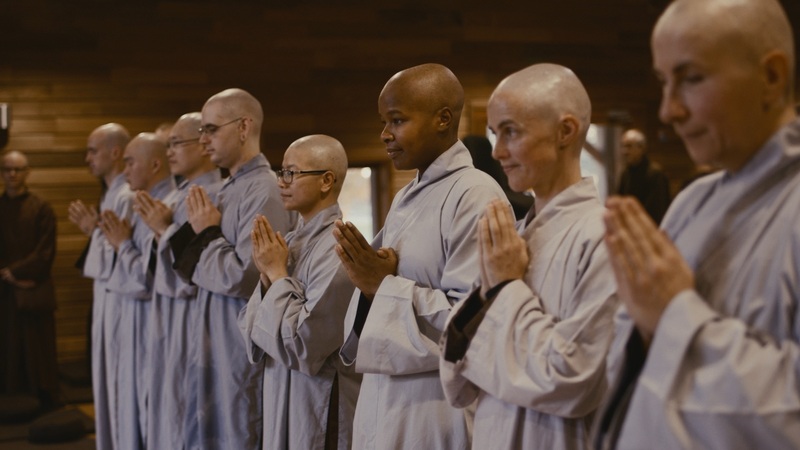 With unprecedented access, Walk With Me goes deep inside a Zen Buddhist community who practice the art of mindfulness with their world-famous teacher Thich Nhat Hanh. Filmed over three years in their monastery in rural France and on the road in the USA, this visceral film is a meditation on a community grappling with existential questions and the everyday routine of monastic life. Widely acknowledged for introducing mindfulness to millions of people in the western world is 90 year old Buddhist Zen Master Thich Nhat Hanh. Today, he is avidly followed by world leaders in politics and business, particularly by CEOs in Silicon Valley, and by stars of stage and screen, including Oprah Winfrey who has twice invited him on her show. Nominated for the Nobel Peace Prize by his friend Martin Luther King Jr., Thich Nhat Hanh is also a human rights activist, poet and successful author. His books have become worldwide bestsellers and he has over a million followers on Facebook. In 1982, Thich Nhat Hanh set up Plum Village - a monastery in rural France for monks and nuns to live, and for lay people from across the world to engage in mindful practice. His community is one of the single largest Buddhist monastic communities in the world. In English, Vietnamese, and French with English subtitles.